Flying drones is my newest obsession, and I have begun to rack up a few hours with these little angry birds. But now I have this MJX B2C, better known as Bugs 2, and it’s a not a toy but a grown-up drone. I’m ready. 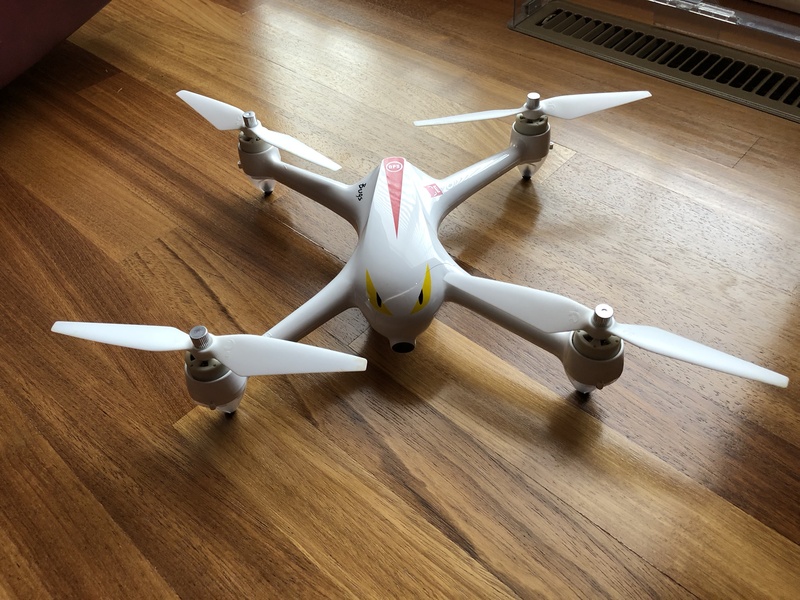 To prepare for flying it, I’ve been practicing on the humble toy drones that have the same four-channel flight characteristics, and I am now confident with the two sticks and how they make the drone behave during flight. I’m glad I had that experience, because now after all the indoor training, I took this Bugs 2 out to a huge field today. Yes, it’s way too big and fast to fly indoors. It was like driving a race car compared to the tiny tricycles I was pedaling before. This thing climbs so high, I can hardly see it or hear it, and the GPS keeps it civilized, returning to my exact spot with a simple button push. It feels about ten times easier to fly than the mini-drones I’ve grown accustomed to. Perhaps I was overconfident because I crashed it a few times, and once — hard — into a telephone pole, cracking the plastic across its nose. It’s still flightworthy but is now sporting a rugged battle scar. Next, I’m going to try taking some stills and video using the B2C’s 1080p camera. 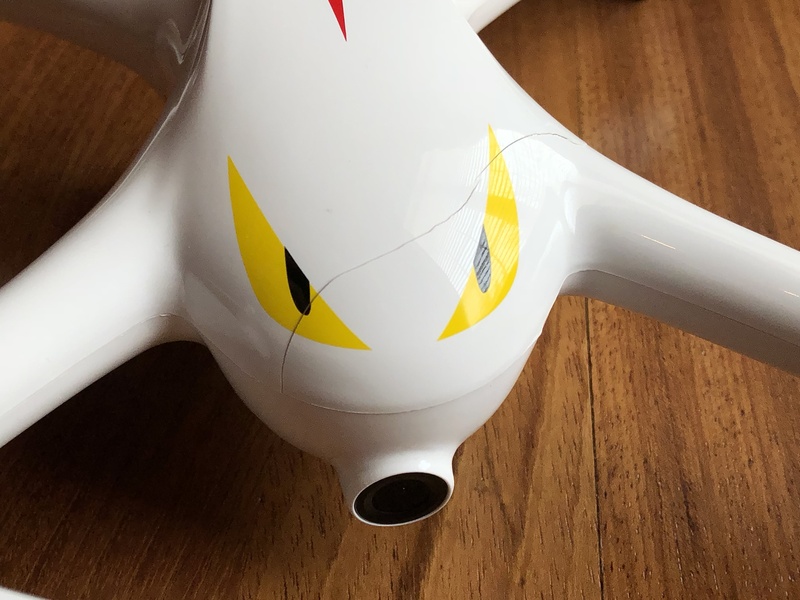 I’m starting to wonder if I should have ordered the B2C-W, the Wi-Fi version of Bugs 2 that lets you see video from the drone in real time on your smartphone that you attach to the top of its remote transceiver. I only wish its battery would last longer than 15 minutes, and additional battery packs weren’t so expensive (prices vary widely from $17 – $40 each). And I wish its battery wasn’t so difficult to remove, where I almost need a pair of pliers to extricate it. But for now, I’m delighted with this fast, powerful and easy-to-fly aircraft. 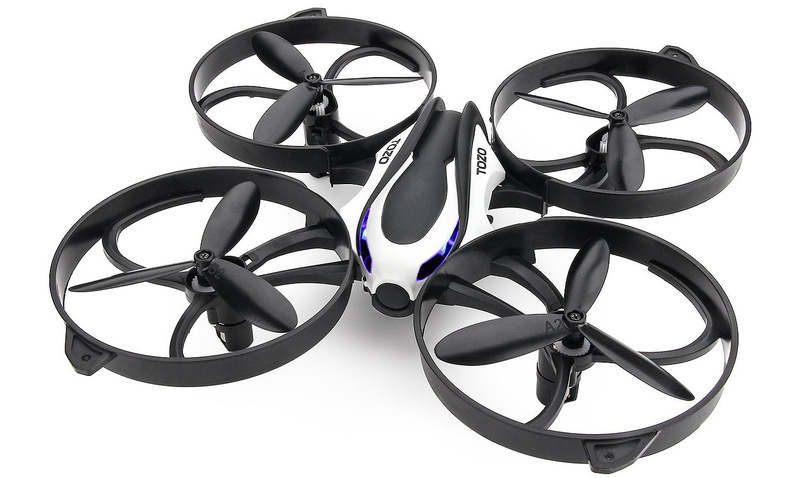 For the money, you’d have a hard time finding a better drone than the Tozo Q2020 ($35.99). This little aircraft is about the size of your open hand, and it’s loaded with sophisticated features. Best of all, it’s easy to use, once you get the hang of adjusting the trim and flying with four channels. The problem is, to improve your flying skills with this product, you will need to practice a lot. 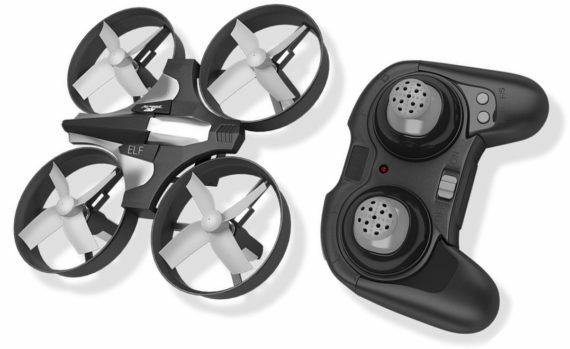 The easiest thing to facilitate that would be to get another six batteries, so you can keep flying almost continuously. But despite the inadequate instructions, you can look for help on YouTube and then get your hands on, learning how it feels to fly this mini-beast. What fun! This is the perfect drone for beginners and an especially good intermediate trainer that can take some brutal impacts and emerge unscathed. It’s dependable and will hold up to just about anything. This is a remarkable value.